Desiring a leisurely change of pace after our recent tiring backpacking treks, Claudia and I decided to go car camping this weekend up on Stony Pass in the San Juan Mountains east of Silverton, Colorado. 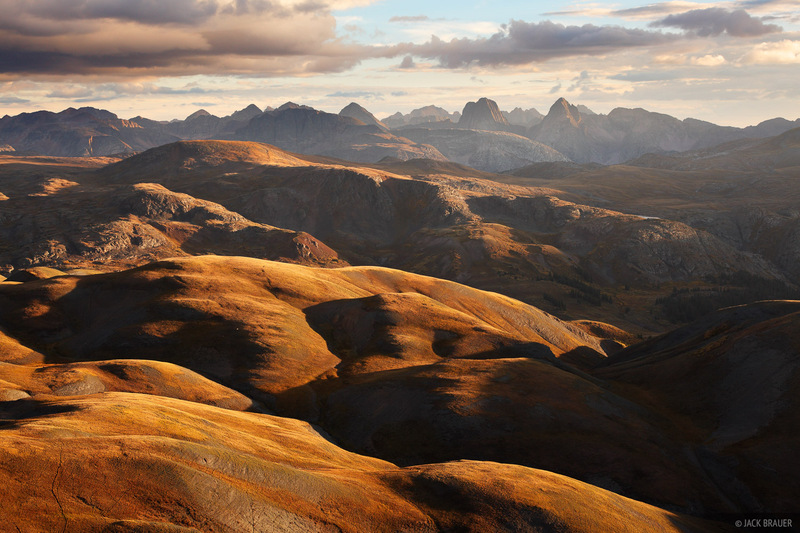 Nearby Stony Pass Peak provided an easily-accessed wonderful vantage point over the rolling tundra of this area and the rugged Grenadier Range in the distance to the south. 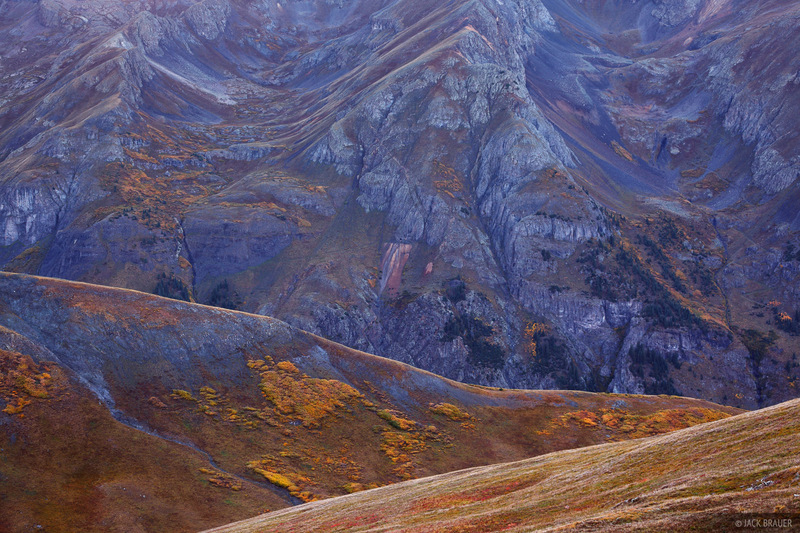 Golden autumn tundra contrasts with the purple mountains near Silverton. 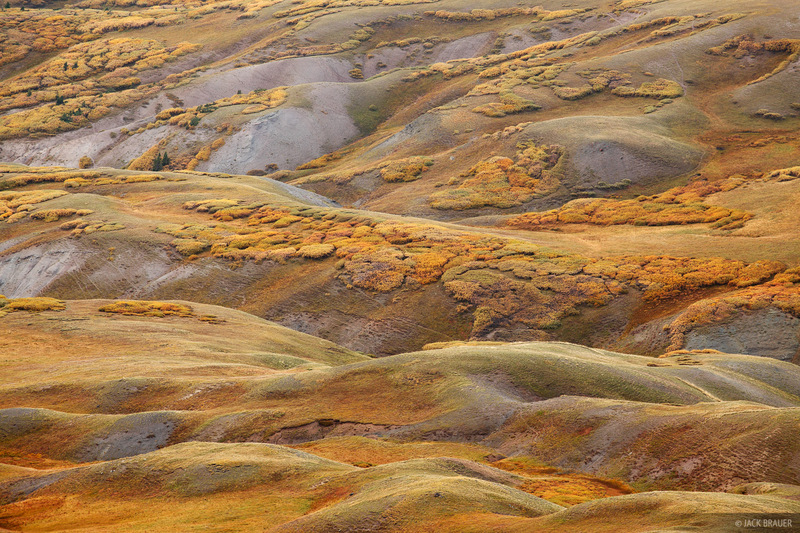 Golden autumn colors on the rolling tundra near Stony Pass - September. 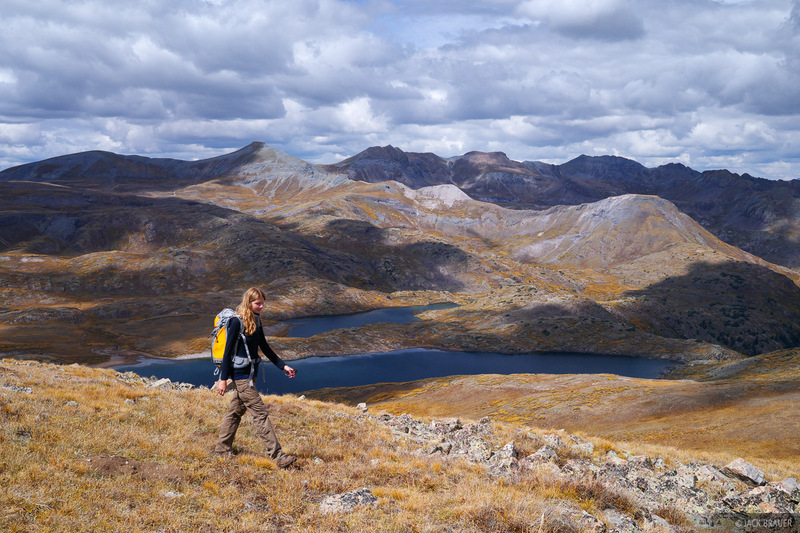 Hiking along the tundra above Highland Mary Lakes. 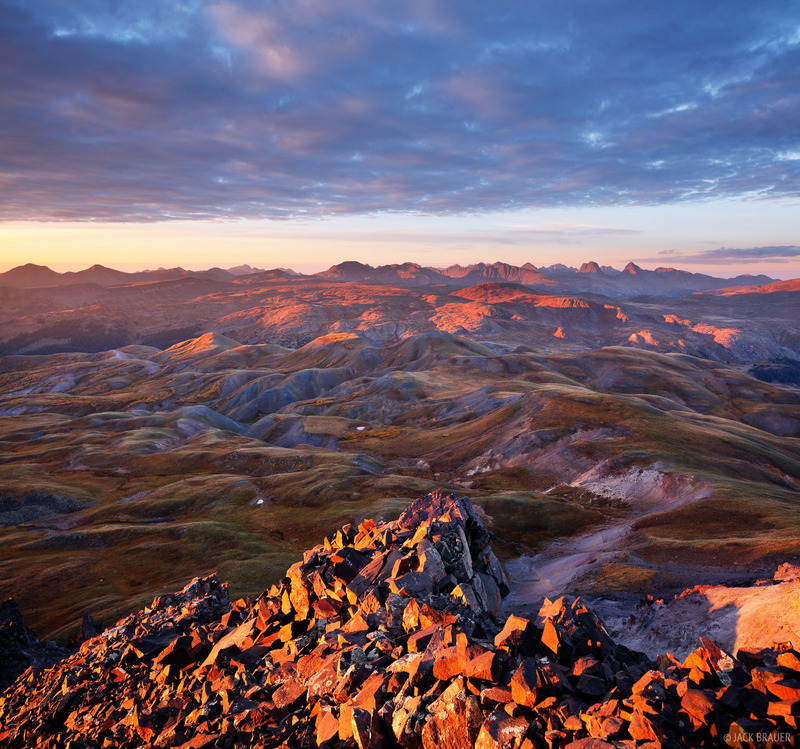 We spent the second day doing a fairly long day hike from Stony Pass to a high point above Highland Mary Lakes. Big dark clouds in the afternoon had us scurrying back to the safety of our truck! 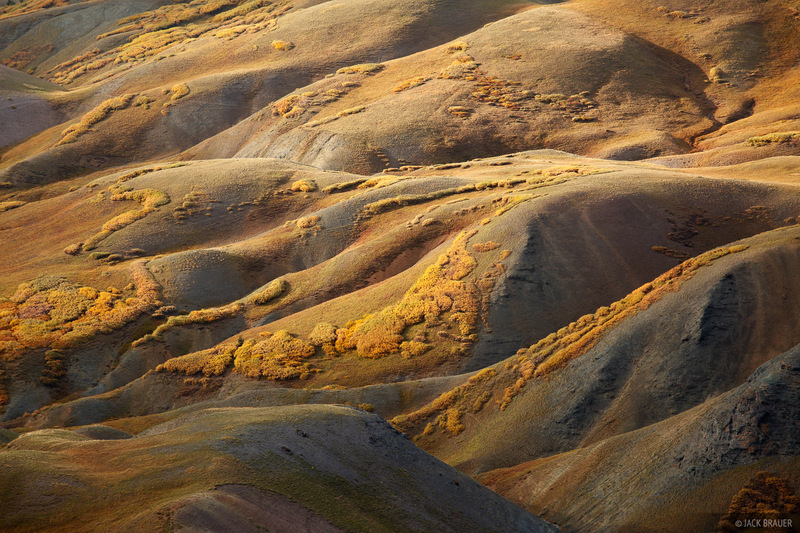 Rich sunset light illuminates the golden autumn tundra of Cunningham Gulch, with the Grenadier Range in the background. 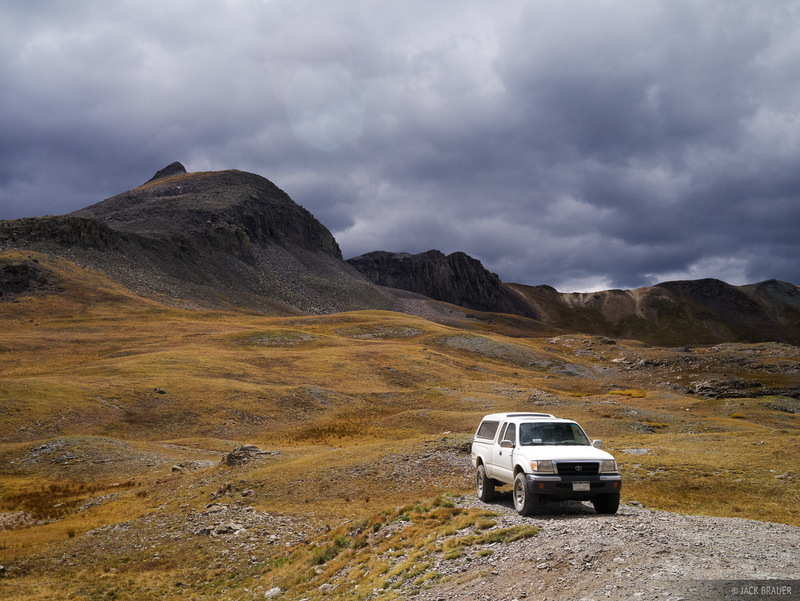 Though we love backpacking and getting out into the wilderness, the truck camping sure is deluxe from time to time! As a side note, we really enjoyed our new truck mattress from The Foam Factory – a 4″ thick “Lux High Quality Foam” mattress. The standard 39 x 75″ size fits perfectly in the Tacoma truck bed between the wheel wells, and ships with a zipped cover for under $100 bucks! A great deal, I think, considering the options, and so much more comfortable than our regular camping mattresses! 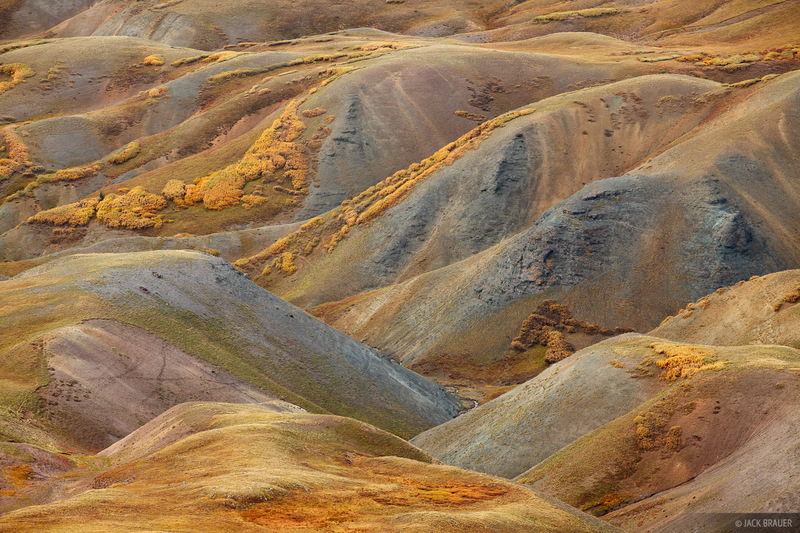 Anyhow, autumn is here, the aspens are looking good and changing color quickly, and I look forward to lots more hiking and photography in the coming weeks! 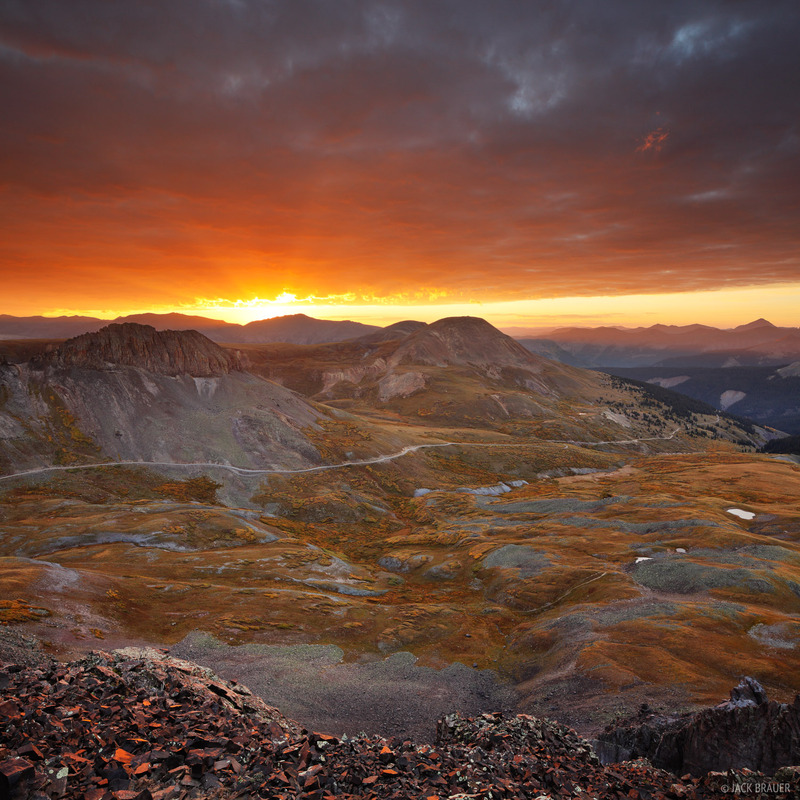 Posted in Colorado and tagged Colorado, San Juan Mountains, Weminuche.